What was it I said last week about famous last words? This week has been a week of hurry up and wait. I'm waiting for a balsa order to arrive, I'm waiting for the right glue to be unpacked at the local hobby shop, the fuel tanks I've ordered STILL haven't bloody turned up and I can't get the colour Oracote I need to finish off two projects! - It's on back order. Grrrr!!!! On Tuesday night I went to my Club's AGM and walked in as my usual shy, quiet, retiring and timid self (well I'm SORT OF like that) - shut up in the back row!!! By the time the meeting had finished I found out I'd been elected Vice President. Ummm - it also appears I am now the Editor of the Club's Newsletter and have been charged with preparing a report on why the club should have it's own website and what is involved. Railroaded?? Well the term does come to mind. Highlight of the week - well the Postman did bring some joy in the form of a set of plans for a B25 Mitchell and a FW TA152H - Thanks Grant. 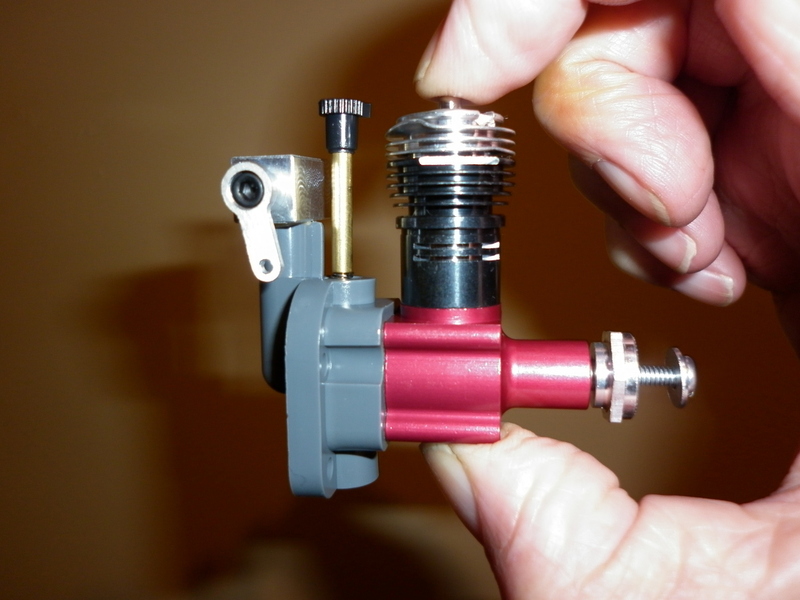 The other delivery was this ripper little Cox .049 R/C engine which I bought from a bloke on RC Groups. Came with a spare standard head, a glow plug adapter head and a heap of props and other gear. Thank you Glenn.